"Boiling a low temp and OEM Toyota Thermostat to ensure they open/close at the correct temperatures. Just a simple meat thermometer does the trick." Remember, before installing (or throwing away) a thermostat, to always check its opening and closing. 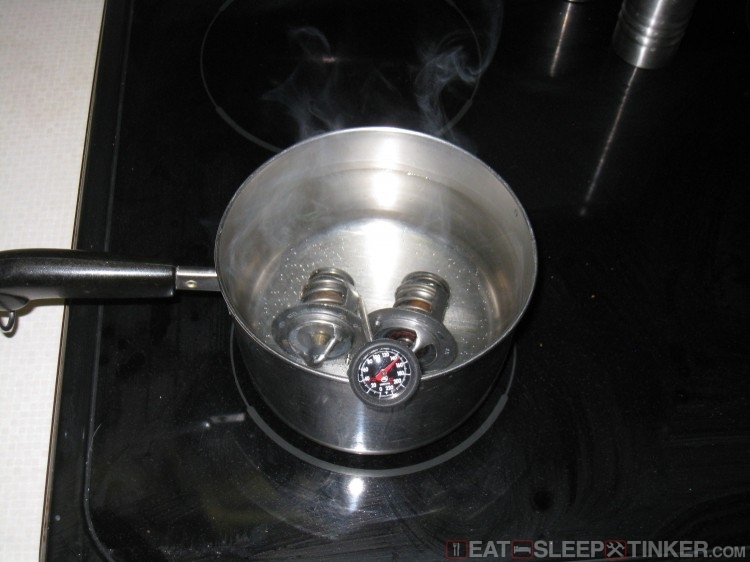 Boiling a low temp and OEM Toyota Thermostat to ensure they open/close at the correct temperatures. Just a simple meat thermometer does the trick.